I looked through the family tree you put together, but could not find Heinrich Josef Hoffer. I know that Joseph brought his family to St. Louis, Missouri in the late 1800’s. Then they went to Mexico, and opened a brewery. When the Mexican/American war happened, they moved back to U.S. (Los Angeles, California) in the early 1900’s. Is there any information you can offer me? I just realized there was another page of the Hoffer Family Tree, so I have more information. Heinrich Josef Hoeffer was the son of Johannnes Josef Hoffer (1779-1854). In turn, his father was Johannes Heinrich Hoffer (1744-1822). His father was Johannes Petrus Hoffer (?-1760), and last his father was Christianus Hoffer (?-1714). 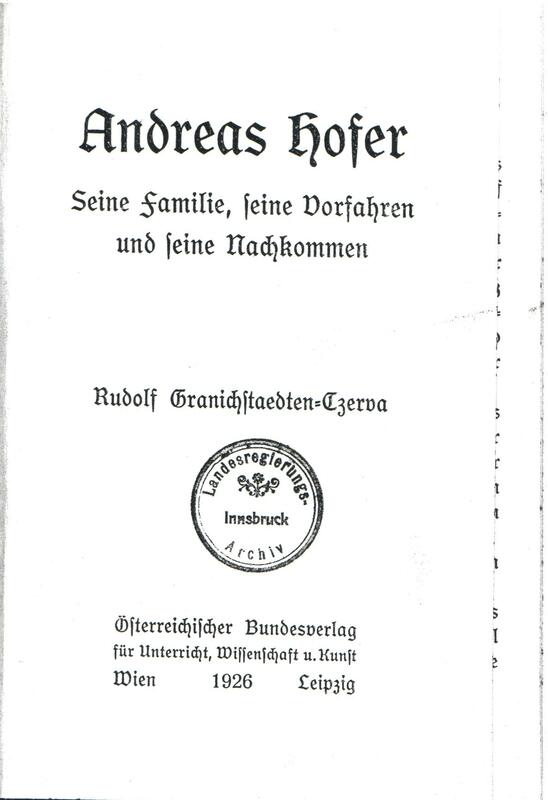 Now I am wondering if Andreas Hofer of Tyrol’s father was a brother to Christianus Hoffer. Since I live in the U.S., I have no idea how many Hofers live in Germany. Again, thanks for any information you may have.